Get Ready for the Girl Gang of Veere Di Wedding! Models, actresses, fashionistas Shashanka Ghosh’s Veere Di Wedding, has it all. Coined as Bollywood’s major chick flick, the highly anticipated film has an official release date. Movie goers can mark their calendars for May 18th, 2018 and get ready because the film is packed full of fun, friendship, and even a comeback. Starring Bollywood’s own fashion icon in the making, Sonam Kapoor. This will be making the third time she and producer sister Rhea Kapoor have teamed up on a project. The two also worked on Ghoshs previous film Khoobsurat, and Rajshree Ojha’s Aisha. One can barely hold their excitement to see the costumes Ms. Kapoor will don in her new avatar. The cast are truly enjoying every moment of filming and completely ignoring the presumption that actresses can’t be friends. Shooting for the film officially commenced on September 1st and has a set 40 day shoot for the project. Also joining the cast making this her comeback is none other than Bollywood’s bubbly Bebo, Kareena Kapoor Khan. The film was set to shoot earlier in 2016 however, was postponed due to Khans pregnancy with son (Taimur Ali Khan). The movie will reportedly follow the story of four friends traveling to attend a wedding. 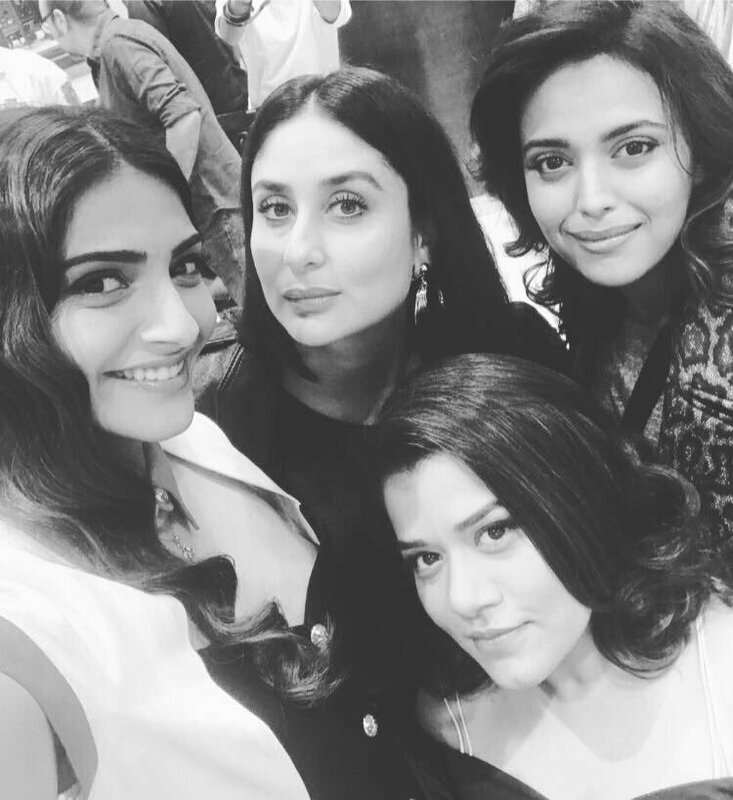 Shikha Talsania, Swara Bhaskar, Sumeet Vyas and Javed Shaikh join Sonam and Kareena in the fun. Stay tuned to BollySpice for more. You can also, if you want to know more, follow the films social media account on instagram @vdwthefilm and twitter to see the latest post of the cast; even gaining a glimpse of item rehearsals. Be sure to save the date for Veere Di Wedding May 18th, 2018! 16 queries in 0.789 seconds.